Posted: Wednesday, September 7, 2016. 5:54 pm CST. 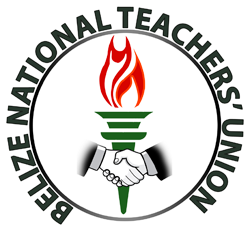 By BBN Staff: All 10 district branches of the Belize National Teachers Union (BNTU) are holding consultations with their members tomorrow, Thursday, September 8th to discuss issues of national concern, over and above PM Barrow’s proposal to defer their salary increase. While the district branches fine-tune plans for their meetings, Breaking Belize News (BBN) has been reliably informed that the Ministry of Education and management of some schools are doing their best to frustrate and discourage teachers from attending the meetings by informing them that they do not have permission to attend, and threatening that those who attend will not be paid while out of class. According to BNTU’s Executive Secretary, Keesha Young Flowers, these nationwide meetings are being held in preparation for BNTU’s Joint Council meeting being held this weekend. At this Joint Council meeting, BNTU will form its position on various current national issues and these positions will be guided by the feedback district presidents receive in tomorrow’s consultations. BBN did not confirm whether the Auditor General’s report on the Immigration Department is on the agenda but sources indicate that the report is likely to attract some scrutiny. The BNTU Orange Walk branch is meeting at 1:00 pm at the Gala Lounge while the San Ignacio Branch is meeting at 1:30 pm at the Octavia Waight conference room.